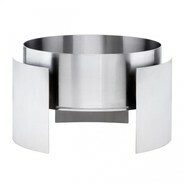 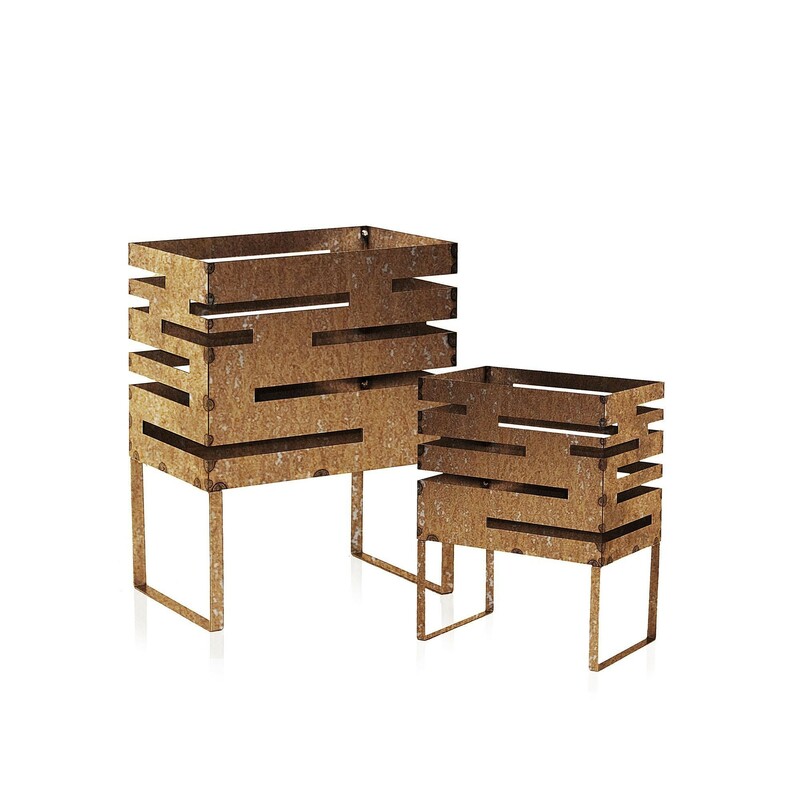 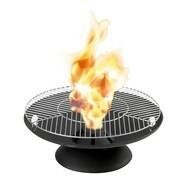 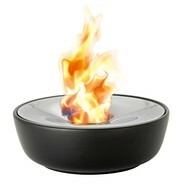 The Fire Basket Urban was designed by Cornelia Norgren for the label Röshults. 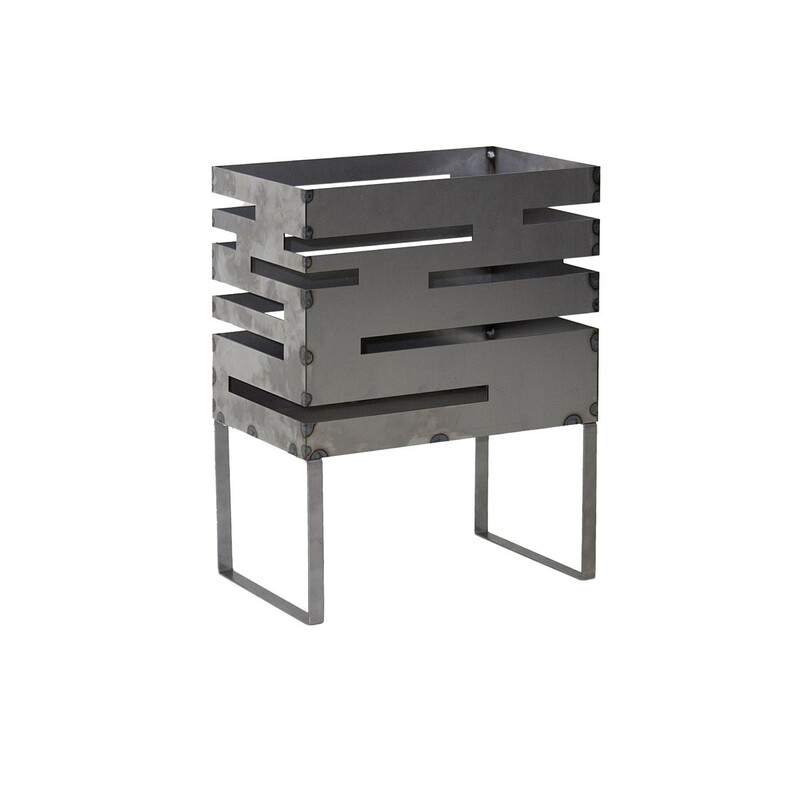 The fire basket is manufactured of untreated sheet steel. 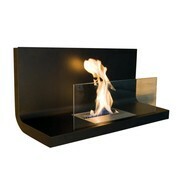 The Urban Fire Basket by Röshults features slits through which the open fire shines and illuminates its surroundings. 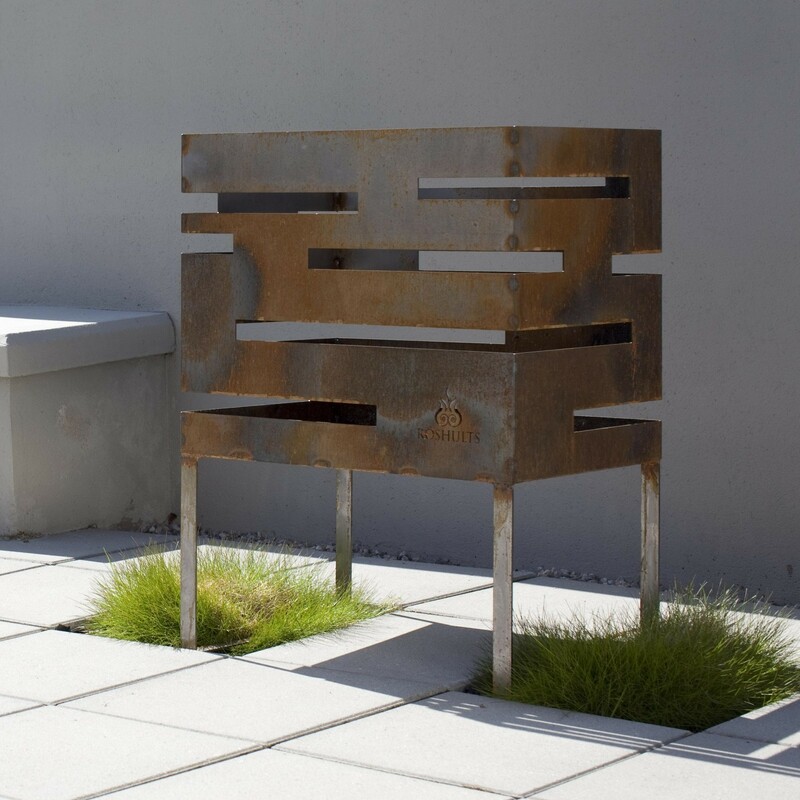 In time the untreated sheet steel will receive a beautiful patina. 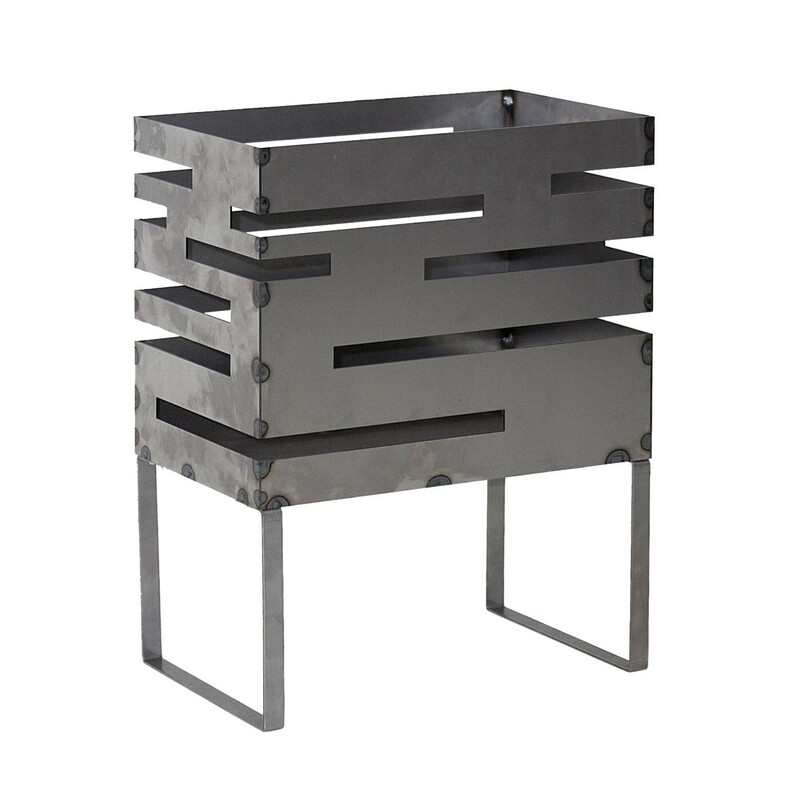 The corrosion of the fireplace gives the fire basket its unique look. 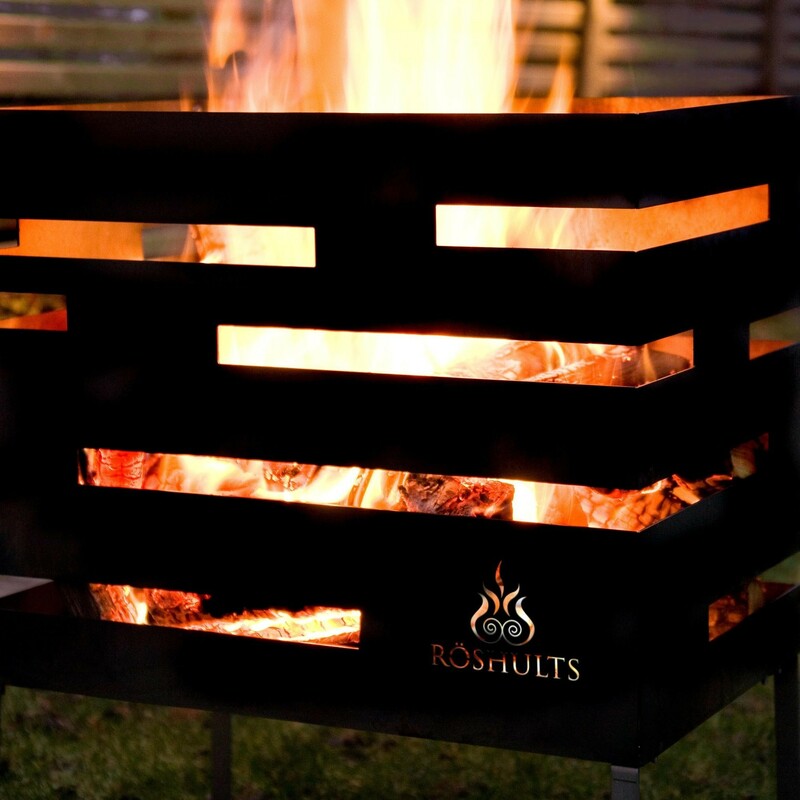 Please note that the Fire Basket Urban is only suited for outdoor use - due to its heat generation the Röshults fire basket should only be placed on flat stone or concrete floors! 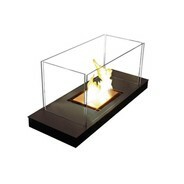 Enjoy a cosy bonfire and provide a nice and warm atmosphere on cool evenings outdoors. 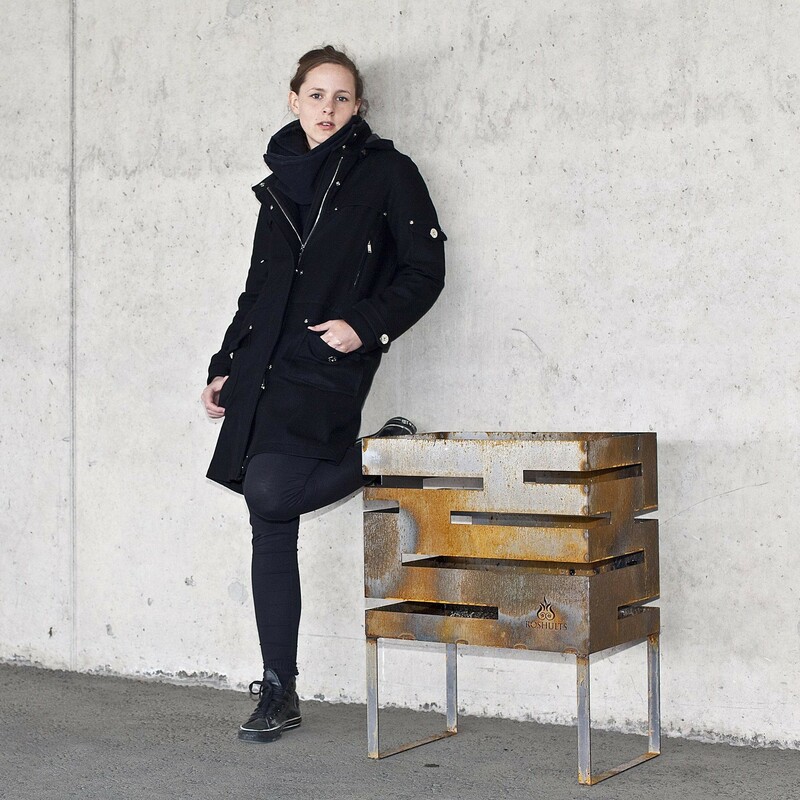 The fire baskets made of metal by Cornelia Norgren can be purchased with a height of either 50 cm or 70 cm - please see the "available product types" for details. 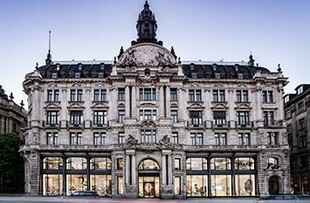 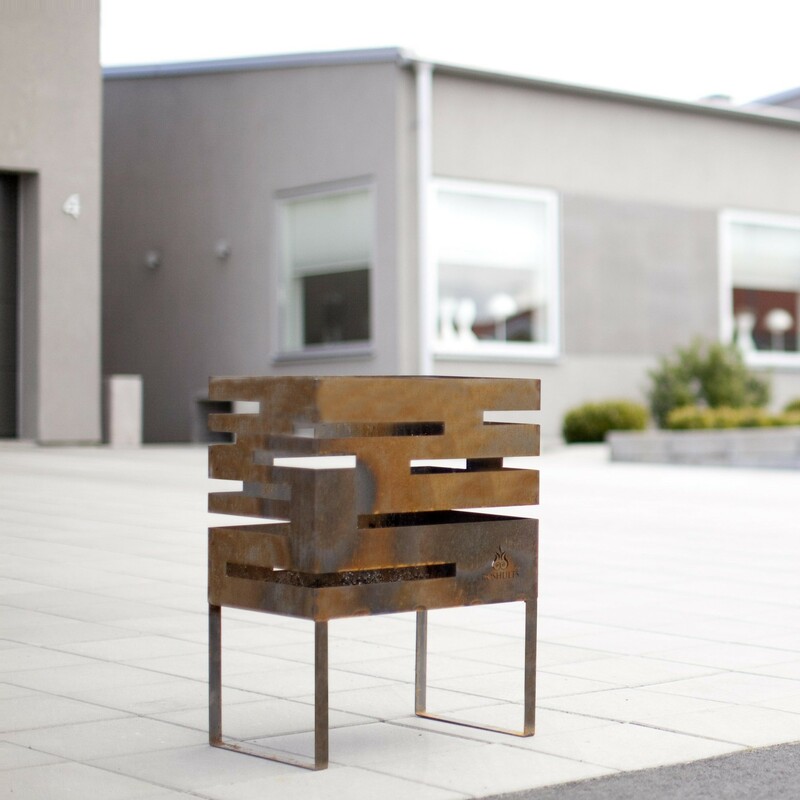 The Urban Fire Basket by Röshults stands in the Nordic tradition of fire columns, which are also known as "Swedish fire torches". 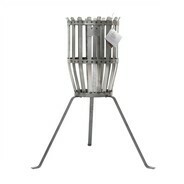 Also discover other steel fire baskets by Röshults in our shop. 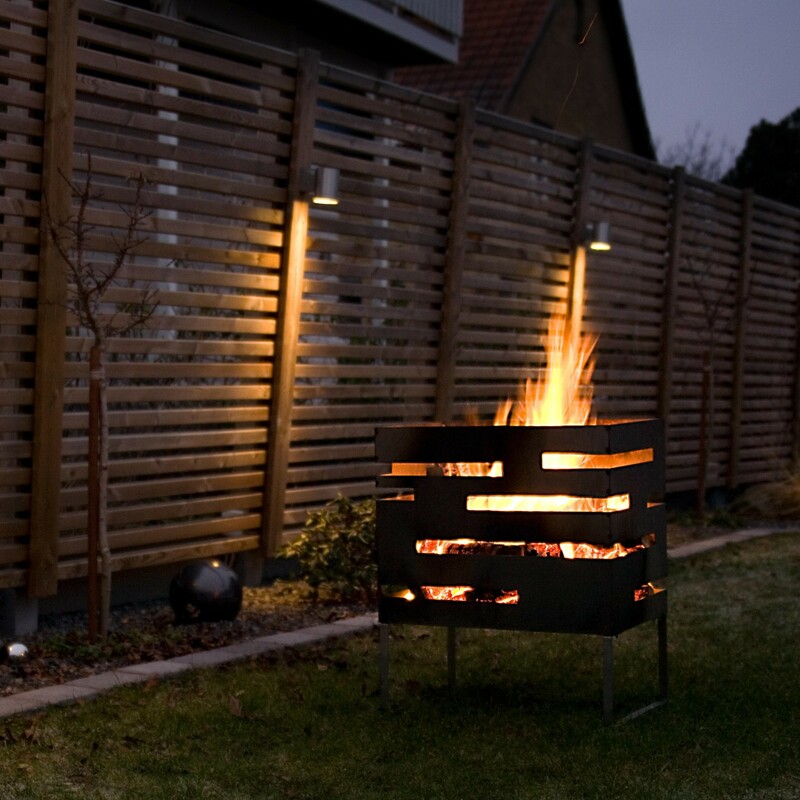 We also carry grills for your outdoor kitchen as well as the Garden Easy and Garden Dinner collections by this Swedish outdoor specialist!